The Walking Dead’Cast: Episode 108: 4, 8, 15, 16, 23, 42, HIKE! The Walking Dead’Cast: Episode 108: 4,8,15,16,23,42, HIKE! Well, Jason and I couldn’t leave well enough alone… once he completed The Last of Us, we simply had to talk some more about what we both consider to be one of the best, if not greatest, game we’ve ever played… and why not talk about Telltale Games’ The Walking Dead: 400 Days while we were at it… and let’s chat on mics and record a very special, pre-Comic-Con episode of The Walking Dead’Cast. If you’ve played Naughty Dog’s The Last of Us, you won’t want to miss our discussion… plus, this is your last chance to purchase tickets for The Walking Dead’Cast’s and The Walker Stalkers‘ Comic-Con/Fan Meet-Up event in San Diego in a couple of days. 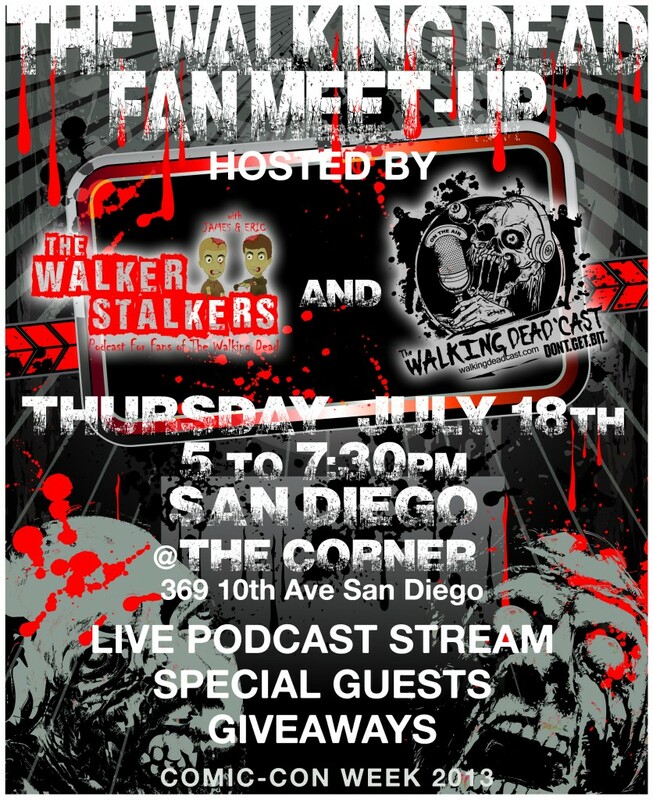 Not only will a few cast members from The Walking Dead be attending (Tomas, Oscar, Big Tiny, Allen, and Ben), but James from The Walker Stalkers and Jason, with Karen via Skype from Israel, will be doing a live podcast, and they will have prizes, games, and other such fun tidbits… plus, I’ll be on hand to hang out and support my favorite podcast. Get the episode here… get tickets to the Comic-Con/Fan Meet Up here… and consider joining us on Saturday for The Walking Dead Escape at Petco Park… tickets for that event can be found here.